*2019 Alfa Romeo Giulia - Low-mileage lease for well-qualified lessees. Based on MSRP example of $44,790. STK# ARN-K7601531. **$2,000 down plus first-month payment $392, $595 bank acquisition, tax, $250 doc and local registration fees equaling $3,237 required at lease signing. All factory incentives applied. Lessee pays for excess wear and mileage of $0.20/mile for each mile over 10,000 miles per year if the vehicle is returned at end of the term. Option to buy at lease end at pre-negotiated price. Dealer's actual terms may vary. Offer through Ally. Residency restrictions apply. Must take retail delivery by 4-30-2019. 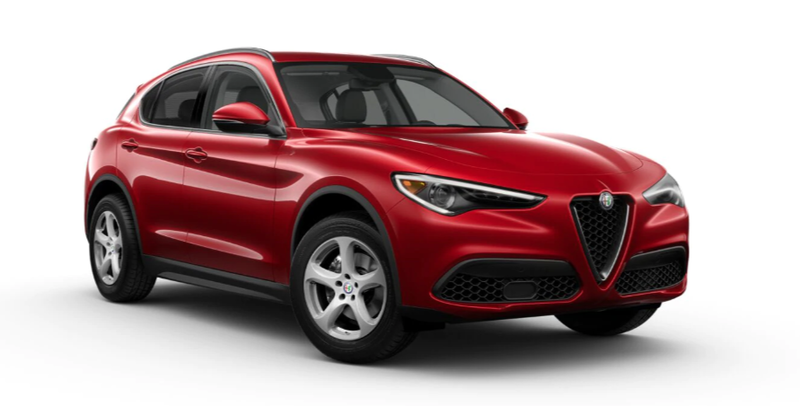 *2018 Stelvio - Low-mileage lease for well-qualified lessees. Based on MSRP example of $45,490. STK# J7B69026. **$2,000 down plus first-month payment $369, $595 bank acquisition, tax, $250 doc and local registration fees equaling $3,214 required at lease signing. All factory incentives applied. Lessee pays for excess wear and mileage of $0.20/mile for each mile over 10,000 miles per year if the vehicle is returned at end of the term. Option to buy at lease end at pre-negotiated price. Dealer's actual terms may vary. Offer through Ally. Residency restrictions apply. Must take retail delivery by 4-30-2019. 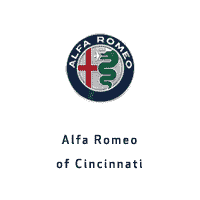 *2018 Alfa Romeo Giulia Quadrifoglio - Low-mileage lease for well-qualified lessees. Based on MSRP example of $77,795. STK# J7580034. **$5,000 down plus first-month payment $829, $595 bank acquisition, tax, doc and local registration fees equaling $6,674 required at lease signing. All factory incentives applied. Lessee pays for excess wear and mileage of $0.20/mile for each mile over 10,000 miles per year if the vehicle is returned at end of the term. Option to buy at lease end at pre-negotiated price. Dealer's actual terms may vary. Offer through Ally. Residency restrictions apply. Must take retail delivery by 4-30-2019.